Concert photography is rewarding and exciting but it can also be very challenging because of the low light conditions you have to work with. Since flash photography is usually prohibited, you need to prepare yourself. 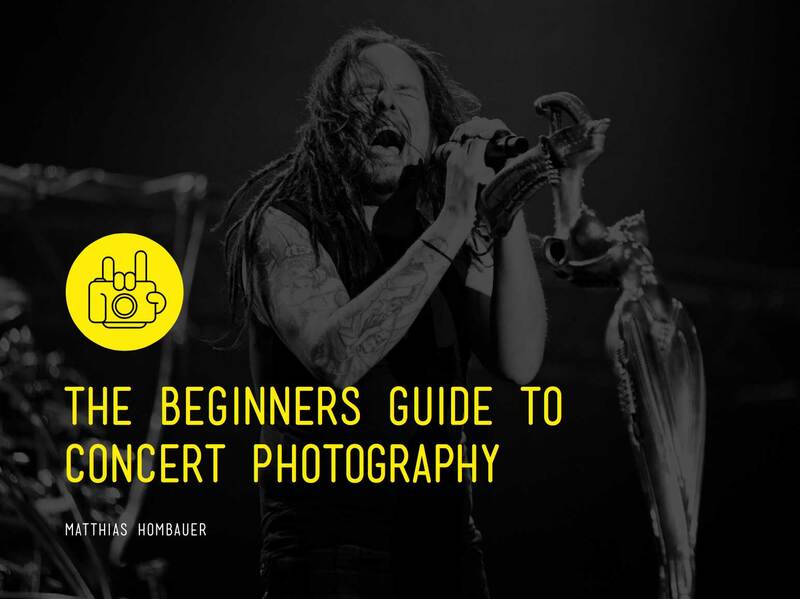 With these concert photography tips for low light stage situations you´ll be well prepared to get awesome shots. First and foremost equip yourself with a fast lens. Fast lenses work best in low light conditions. A fast lens is a lens with a large maximum aperture. A fast lens has an aperture with a wider opening allowing more light to enter the camera sensor. Shooting with a bigger aperture allows for faster shutter speeds in low light enabling you to freeze action with greater ease and clarity. Always remember that the smaller the f number, e.g. f1.4, the bigger the aperture. When starting out as a concert photographer the fast lenses you will need are going to be expensive, but investing in a reliable fast lens will allow you to get the job done with better quality. If you are really on a tight budget and eager to start shooting live concerts, you can always start by purchasing an inexpensive fixed 50mm lens. This small and affordable lens usually has an aperture of f1.8. It is called a fixed lens because it does not have the zooming capabilities of most regular lenses and it remains fixed at 50mm. Although this lens lacks zooming versatility it makes up for it greatly with its wide aperture. This great little lens is always good to have on hand in your gig bag. Once you have equipped yourself with a fast lens, or two, you are ready to start shooting some amazing concert photography. Concert photography is very challenging because of dramatic light changes during a concert. What may be a great lighting spectacle for the audience may not mean an easy experience for the photographer who has to constantly keep up with various lighting conditions. The greater the spectacle, the more challenging it will be for the photographer to keep up with adjusting the camera settings in order to capture a great shot. To have better control of your exposure it is best to shoot in manual mode. In low light, manual mode allows you to maintain full control of the light around you rather than allowing the camera to do the work for you. Sudden changes of bright and low light can easily throw a camera off producing false exposures. For that matter, it is best for you to have full control of the settings. However, if you´re just starting out try the Aperture Priority mode and let your camera help you fining the right exposure. More on camera settings here. Always shoot your lens wide open. Shooting with your lowest aperture will allow more light to enter your camera. Apertures of f1.4, f1.8, or f2.8 will work great in low light concert photography. That’s why it is important to invest in a fast lens when you first start in concert photography. Try to maintain a shutter speed of 1/250 or faster. Anything slower can start producing blurred images. Of course there will be some exceptions to the rule. You may be shooting at a club with very low lighting but the band may not be as active on stage. In this case, you could probably get away with a shutter speed slower than 1/250 without getting blurred images. The more active and energetic the artist, the faster your shutter speed will need to be in order to freeze the action. Simply put, ISO is your camera’s sensitivity to light. The lower the ISO setting, the less sensitive your camera will be to light. The higher the ISO setting, the more sensitive your camera will be to light. It makes sense that in low light conditions such as in concert photography, you will need to bump up your ISO to higher settings so that the camera sensor will respond faster to the light. Try starting off with an ISO of 1600 during the concert. If that does not work and the images are coming out blurred you can bump up the ISO to the next setting until you are satisfied with the image. Keep in mind that the higher the ISO the more grain or noise it will produce in your photographs. Ultimately in the end, when it comes to concert photography, it is better to achieve an image with grain and a great frozen image rather than an image that is blurred. There are many post processing programs such as Adobe Lightroom and Photoshop that have simple editing tools that will greatly help reduce the noise in your photographs. Before venturing out to photograph your concert it is beneficial to do some venue and artist research ahead of time. Small local bands will more than likely use lighting provided by the venue. If you are not familiar with the venue check the Internet for venue photographs to see what kind of lighting and space you are up against. Well known bands may have their own special lighting and props so it’s always a good idea to see what kind of show they will put on by looking at pictures or videos on YouTube from a band’s previous show. It is good to know what to expect so that you can be prepared. When you first start doing concert photography your first instinct will be to start shooting as much as you can the second the band comes out even when it’s almost impossible to take a photograph. Imagine, the band has just made their appearance on stage, and there is very little to no lighting. You feel under pressure because you only have three songs to get good shots. Relax! Sometimes it is almost impossible to get a shot when it’s really dark. Take advantage of those impossible low light moments in a concert to give you time to find a good shooting spot or to take a quick glance at your pictures to make sure you are adjusting your camera settings correctly. Be patient and wait for the moment of bright lighting bursts to get most of your shots. It is very easy to get intimidated by the low light environment in a music venue. It is important to understand your settings and to go through your images during post-production to see where things went wrong or where things went right. The more you shoot concert photography in low light stage situations the more confident and comfortable you will become with yourself and with your camera.